First impressions are everything, appearance is important and you deserve to feel stylish and beautiful. We at Christopher James Hair + Skin understand this and offer high quality beauty and cosmetic services in the Albuquerque, New Mexico area. Our goal is to make clients feel special and confident, giving them an edge to stand out in a world where fashion evolves rapidly. Our Albuquerque beauty salons will offer an amazing experience you won’t find anywhere else in Albuquerque. Our local hair and makeup artist team is professionally trained and we dedicate ourselves to providing our customers with the look that fits them best. Don’t get caught up in trying to copy the latest fashion craze, adapt current trends to your own personal style and stand out among the crowd. We want you to find the look that suits you best, while being serviced in a comfortable and relaxing environment. We use only the highest-quality products available on the market to give you the glow and grace that you deserve. Relax and let us pamper you with professional-grade skin-care products, high-end cosmetics and the best salon hair brands, all at affordable prices. Visit the best hair salons in Albuquerque NM for a full beauty experience that is sure to satisfy all of your expectations. We at Christopher James Hair + Skin Salon pride ourselves with the quality of the services that we provide. Have a job interview? Planning on attending a wedding? Want to up your social-media game? Visit our Albuquerque hair salon, where our professional hair stylists have one purpose - offering high quality services so that your upcoming events will become treasured memories. 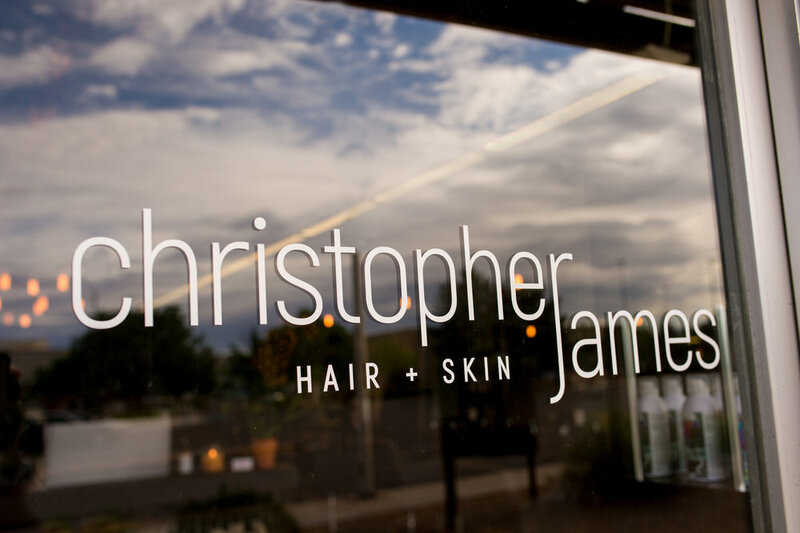 What Can I Expect From Christopher James Hair + Skin During My Salon Or Spa Treatment? 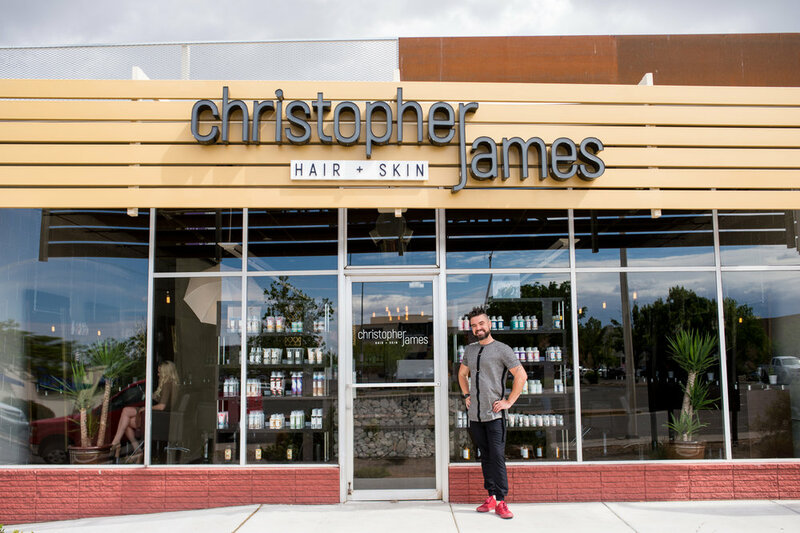 Here at Christopher James Hair + Skin, our hair stylists Albuquerque provide you with the best hair styling, beauty and makeup services. Our team of professionals will take care of every aspect of your appearance; enjoy the best quality of products, at competitive prices, serving all of your beauty needs in one place, making it convenient and time-saving. Will You Offer Men’s Grooming Services? At our hair salon in Albuquerque, our team is trained in men’s grooming, taking care of all of our clients’ needs in just one place. We have set a high standard for men’s care in Albuquerque, using only the best barbering and hair-cutting techniques, products and equipment. Are Your Make-Up Artists Available For Bridal and Special Occasions? Yes! Our hair salon in Albuquerque NM make-up artists are indeed available for all your special events, including bridal, prom, and graduation. Our professional artists offer make-up application events on location and in salon. We welcome bridal parties of all sizes, and can handle large events with ease. We’re here to fulfill all your wedding make-up and special event make-up needs. How Often Should I Get A Facial? It depends on your skin type. We recommend - the average time is about every 4-6 weeks. How to Achieve Your Ideal Hairstyle for Your Wedding? We all want to look perfect for our wedding day and that is why you book us to do your wedding hair and makeup. Just let our professionals take care of the job and enjoy the quality and comfort that our services have to offer.